Continuing on with my tips from part one a week or so ago, today I am blogging a little about money in Japan. 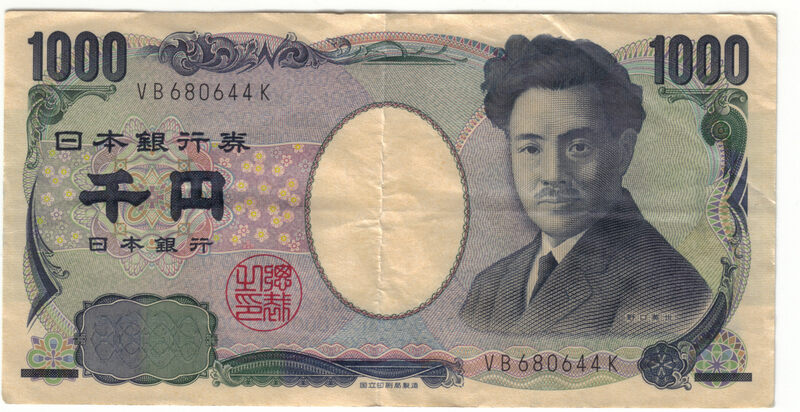 I can start by telling you the local currency here is the ‘yen’, or as the locals say ‘en’, and that it is worth just over 100 to the US dollar right now, but that doesn’t tell you what you need to know, that the way people use money here is a little different to that in ‘the west’. Most importantly I guess, Japan still loves cash. It’s untrue to say that credit cards and debit cards are useless here as I have heard people claim, even in rural Iwate you can use credit cards at most places and if your international debit card is Cirrus/Plus connected you should be able to find an ATM to withdraw from, but it’s likely to require a little searching and you’ll need to be there at the right time. If you come to Japan to work, already hired by a company, they will help you set up a bank account. There’s a strong chance it will be probably the most common in Japan, the Japan Post (JP) bank account. Yes, the post office here is also a bank. The thing is, companies do deals with banks for bulk transfers which means they get a discount for depositing money into accounts, so you probably have to get paid into the bank your company uses. My wife had a job last year that she had to set up a new account for, as the company only dealt with the Bank of Iwate. In Australia I don’t believe there are deposit fees, which is why it seemed strange to me. Don’t expect you money to earn any interest. Maybe it does, but you don’t receive it. Presumably the bank is doing something with it! On the plus side there are no ongoing fees, at least with a JP Bank account. To transfer money into a foreign account you need to fill out a form and pay 2500 yen at JP Bank plus your own bank fees. For me, it cost around a total of AUD$40 to do a transfer, which is a fair whack. There are other ways which are cheaper. Go Remit has a service which used to be run by Lloyd’s Bank which is a bit cheaper, and takes around 1-2 days. JP Bank take a good week plus to transfer the money over. You can’t do it via internet with JP Bank. ATMs are annoying in Japan, there’s no way around that. 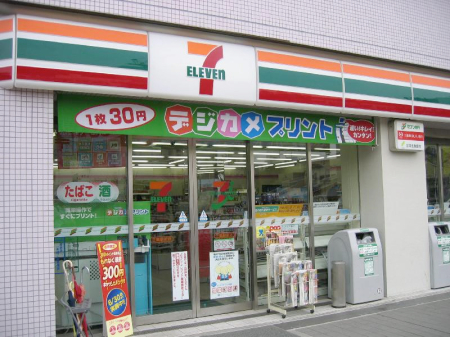 IF you are visiting and using a Cirrus-Plus system card, then the ATMs in 7/11 take these cards, and should be functional as long as the store is open, which is usually 24 hours. However, if you need to pull money out of your Japanese bank, and remember you will cop a fee if you don’t use the bank’s own ATMs, you strike a little trouble, because they close. I was at Haneda international airport at 10.30pm before boarding a plan and the JP bank ATM told me ‘Machine opens at 6.30am’. And that’s generous! Some close by 6pm or something, and it’s similar for other Japan bank ATMs. The passbook is still king as well, more popular it seems than the bank card, but you usually get both when you open up an account. 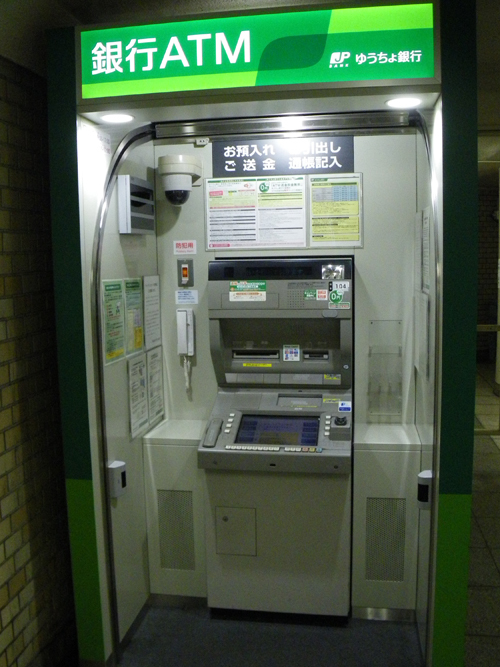 Even the ATMs are equipped with a slot for the passbook and will update it, JP Bank will update it without entering a code which is a little ‘dodgy’ – someone could steal your passbook and at the very least see how much money you (don’t in my case!) have. The country loves point cards – such as T-point, and many shops will give you points for each purchase and they eventually you have enough points to buy something I imagine, however then they will ask you to pay in cash. At the convenience stores you can pay your utilities and phone bills, as well as buy tasty treats like super-fried chicken. You can use a credit card there, however only for items bought from the store, not for bills, they have to be paid in cash. This is typical of how inflexible Japan can be at times, things are kept separate as much as possible. You should find you almost always get correct change, in the supermarkets at least. Many if not most cash registers do not open, instead the cashier puts your money in, the machine calculates and spits out the change. Then there is the love for vending machines. You find them everywhere, but they are also installed inside shops. Small restaurants, even my hairdresser’s back in Iwate. You select what you want to eat, put the money in, press the button and then take a ticket to get served. In the case of my hairdressers, every cut they did was just 1000 yen. The machine was just for 1000 yen. Put it in, get the ticket, pass it on to the person to cut your hair. When you have to pay for something at city hall, or even to renew your visa at the immigration centre, you pay for it by buying a stamp, either from a machine or a woman in a booth. But, that’s stepping into the territory of the next topic on my Japan Survival Guide. And that’s next week! Always carry a bit of cash in Japan, it can’t hurt, the place is ridiculously honest and safe. But don’t think your cards are completely useless, just be of when, and where you can use them. Thanks for reading! 🙂 nice site you have too!